You must make reservations at least 5 minutes in advance of the time at Chesapeake Inn Restaurant. We offer valet parking, as our parking area tends to fill up rather quickly. There is handicap accessibility just make sure to check in with the valet when you arrive they will direct you and show you to our handicap elevator if necessary which will take you to the dining room level. 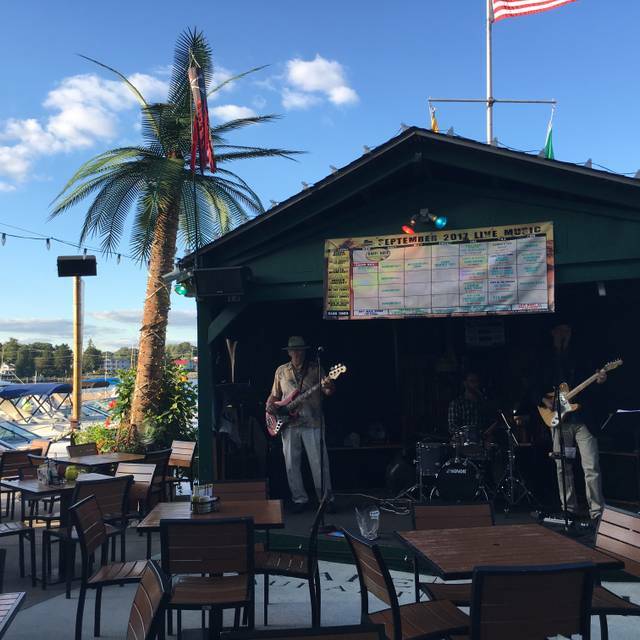 We offer Live Bands and DJs on our DECK area nightly in the months of May through August and on Fridays & Saturdays in the months of September - April. The best way to check out which type of music & when it is playing is to visit our event calender on our website at www.chesapeakeinn.com. Click on the CALENDAR link on the top bar to see our specials, upcoming events and all live music details! CHRISTMAS EVE DINNER - Open for Lunch & Dinner. Lunch(regular menu) 11am-3pm. Dinner(limited ala carte dinner menu) 3-8pm. *Reservations Required* online reservations welcome. NEW YEARS EVE DINNER - Open for Lunch & Dinner in the Dining Room. Lunch 11-3pm. Dinner starts at 3pm. Limited ala carte dinner menu available along with a unique couples dinner special on the menu. *Reservations Required* online reservations welcome. NEW YEARS EVE DECK PARTY! - Must call for details or visit our website for more information. Our Catering and Banquets Department is very extensive. 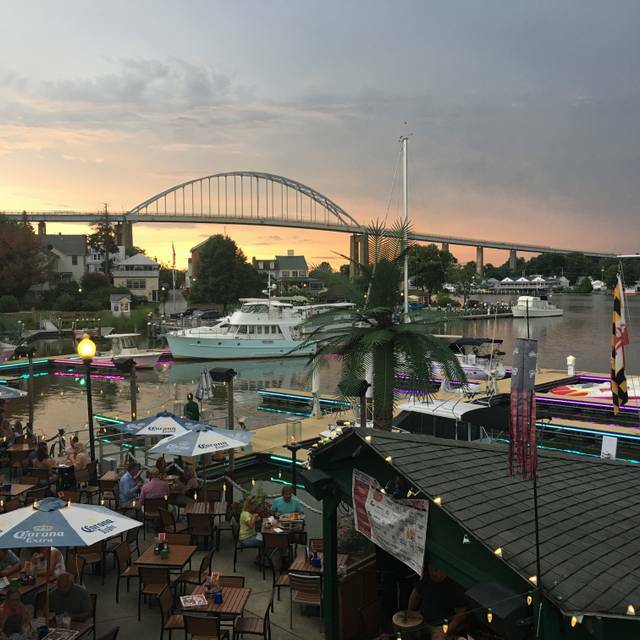 The best thing to do is visit our site @ www.chesapeakeinnbanquets.com or call 410 885 2040 to speak to a banquet representative. We have multiple rooms available for small and large banquets. Our Catering and Banquets department is very extensive. We can host or cater any type of event you would like. The best thing to do is visit our website @ www.chesapeakeinnbanquets.com or call 410 885 2040 to speak to a banquet representative. 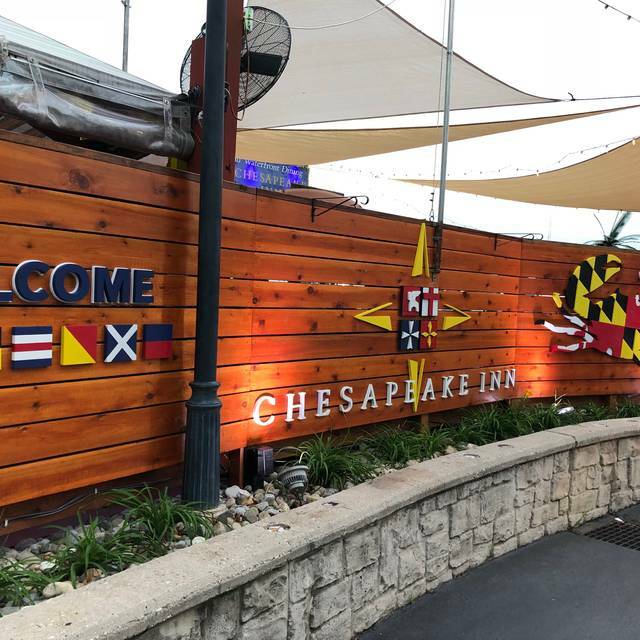 The Chesapeake Inn is a place for everyone. The Main Dining Room boasts a beautiful waterfront view, along with a great bar area for small plates and some great "liquid therapy" cocktails. 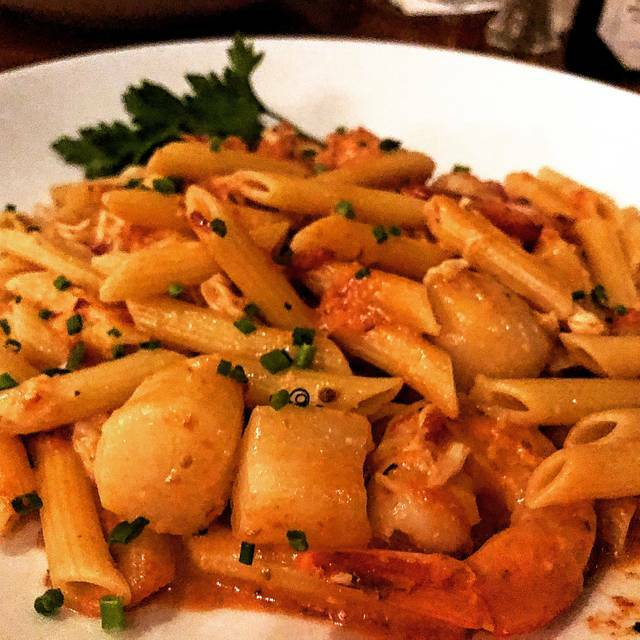 The menu in the dining room features jumbo lump crab cakes, fresh seafood specials, pasta, chicken, steak and veal. The Deck is our casual area featuring brick oven pizzas, great finger foods, salads and sandwiches. The Deck is open daily April through October, and only on weekends during the off season. 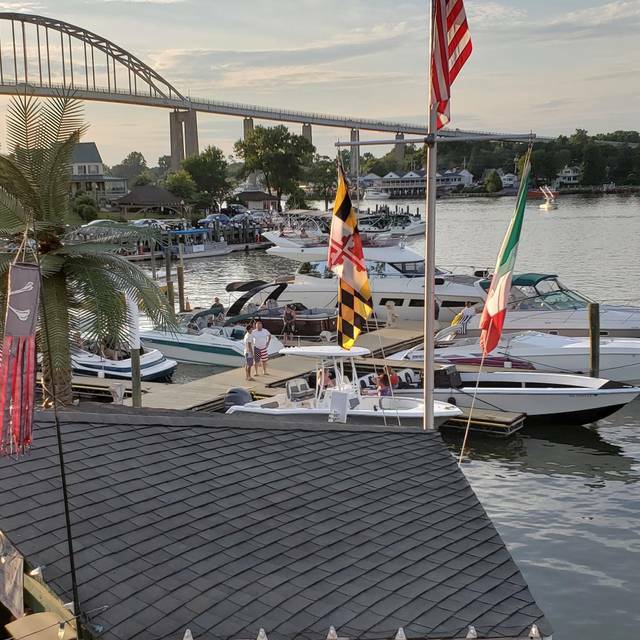 The Deck area also offers live bands and entertainment during the summer months. The Chesapeake Inn also has a state of the art Ballroom for weddings and special occasions. We also have smaller banquet rooms in the Main Dining Area. We can host banquets up to 200 guests. Check out our website & click on the SPECIALS link for specials & upcoming events in our dining areas. Always excellent! A gem of the MD/DE area. Out first time there, and we’ll be back ...it was “everything”!!! The food was fantastic and the waiter provided excellent service and managed well with our international guests. Very scenic spot, good food, we enjoyed a middle of the week lunch and spent over two hours doing it, just because we wanted to slowly eat and talk. Beautiful view. Was disappointed there was not a full menu on Sunday. Brunch was good, but more options would have been nice. It was amazing our waitress was awesome I think her name was Julie. Everything was wonderful. Food was great. A little pricey for lunch. I am not sure why OpenTable does not give points for certain reservations . Comfortable atmosphere and energetic server, the food was very fresh and tasty. Good food and service and a real pleasant time there. This was our first time here. It was picked from a list of resturant and the pick was awesome. I will be returning. Friendly people ... great view... food was great.. I would tell any one to give you a try. Elaine our waitress was fabulous. Excellent restaurant in a beautiful location! Will return! Good food and service. Will definitely come back. Excellent service and food!!! Can’t wait to go back!!! Food is always good, every visit! Service is great! We sat near the bar. It was very crowed and the service was slow. Valet only parking added to the high cost of dinner. First time there and a bit of a drive but it was well worth it. Will certainly go again. Food and service was excellent. Being able to look out over the water while eating is an added bonus. Chesapeake Inn is a lovely waterfront restaurant with a delightful aquarium inside in the upstairs dining area. There is a nice variety of foods to accommodate various palates. We enjoyed everything from sushi to pasta, soup to popular wine favorites, all in an ambient setting. 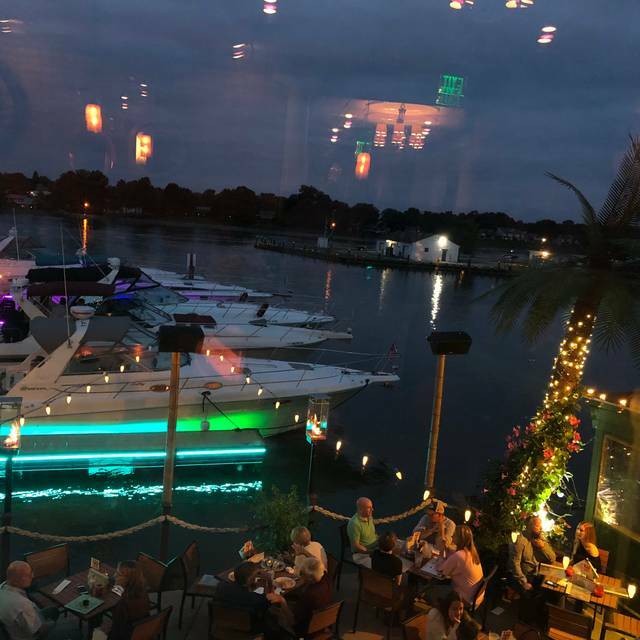 The service was stellar and professional, which makes Chesapeake Inn perfect for business dining as well as romantic dining. The only thing I would recommend to them is to add more seafood items to their menu, like steamed clams, crab cakes, lobster, and Jonah's crab claws. As far a I know, no other competitors offer these items and would certainly give them an edge. Everything was perfect as I took my wife here for her birthday. Very casual and everything couldn't have been more perfect! It was a great night to meet friends for dinner! Darrell was a wonderful, knowledgeable, friendly, and expert server! The food was delicious and we enjoyed the quiet of the dining room on a quiet winter Sunday. Good food in a pleasant waterfront environment. Visited on a busy Sunday but the service/ timing was very good. Food was very good from the Valentine’s Day menu. Excellent service. Valentine’s Day. We were disappointed in our table. 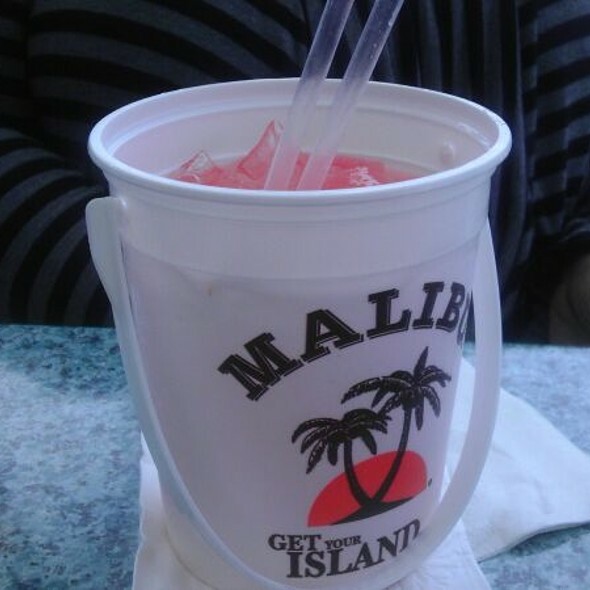 It was too small for 2 mature adults and all the plates and glasses. Ambience is good. Food is nothing spectacular (my husband's fish order was overcooked). Our waiter who served us was great. If you want free parking you would have to park outside the restaurant's vicinity which is not bad just less than 5 min (and limited). I would recommend this place for the ambience but not for the food. Excellent Valentines Dinner. 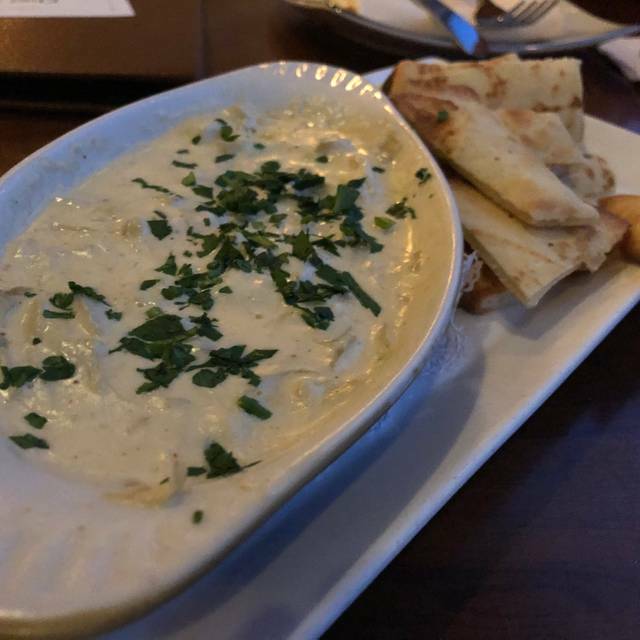 We were seated promptly, service was timely and the food was outstanding. Casey was outstanding & our Server was very personal able, however the Service was slow for some reason. For example all the Tables around us received bread with their Drinks. We ended up asking for ours after our appetizers because it had been a while & our Entree hadn't arrive. Great Menu Selection & Wife's Food was outstanding mine was a little better than average. Medium we got dripping blood and charred ... also took an hour to receive .. they weren’t even busy . Our waitress also left and barely ever came back ... another server had helped us . She did fix the burger but never received the fries until we were ready to leave .. worse and last time coming . Word of advice ... look for a better cook ! Great food and service!❤️ My husband and I have been there several times and have always had a good experience. Super food choices, spectacular setting on the canal, and exceptional staff. Never a disappointing experience at CI. Loved the restaurant! The staff are polite and kind! Parking was confusing and the chairs were squeaky, but the food and the view of the water were perfect! The price was not that bad either! 10 out of 10 would recommend! I’ve had brunch there before but this time i was disappointed.Our food was cold. Our drinks too forever. There was something wrong with the heater so we sat there with our coats on while we ate. I was very disappointed with this experience especially since my last one was so positive. Payton was great!! Although there was a hair in my food (I did not bring this up to the server). Great food, beautiful view, and amazing staff. Would definitely recommend to others. We had only been there once for a wedding rehearsal dinner. The total experience was great then as it was on Saturday. Don't know why we waited so long to go back. Brought my wife here for early Valentines Day dinner. 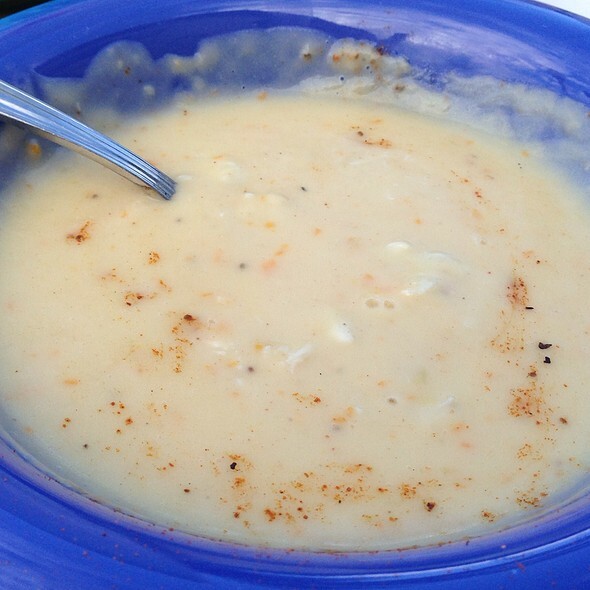 We’ve dined here many times and Chesapeake Inn is one of our favorite local restaurants. Started with French Onion soup and Crab Bisque - both soups were hot, fresh and very tasty. The bread was excellent with crisp crust and soft center. Oysters Chesapeake were loaded with lump crab, and the oysters were meaty and fresh. Halibut and Salmon entrees were perfectly cooked, the fishes were fresh and the seasonings were delicious. The chef knows how to prepare seafood - we’ve never been disappointed by his talent and creativity. The only criticism is the soups, oysters and salad all came at once. Better pacing of food service would’ve made this visit perfect. We shared creme brûlée for dessert - custard was scrumptious and the crunchy sugar topping was perfect. We had a great meal and will definitely be making many return visits! It was absolutely amazing. We will be back. It was surprisingly dead on a Thursday evening but that gave us a window seat to overlook the bay. Food was phenomenal and our waitress was on point. Definitely going back.